Please give a brief background of BIHR and key milestones over the years. BIHR is the leading Swiss hotel school in the Kingdom of Bahrain with external accreditations from Swiss Hotel and Tourism Management Institute, HTMi Switzerland. It was founded in 1999, a part of Dadabai Holding Bahrain, and is committed to meeting the needs of the hospitality and tourism industry by providing highly trained individuals to deliver benchmark standards of managerial competence in hospitality management. It is the only private training institute in Bahrain to achieve ISO 9000 – 2001 and an ISO certified private training institute in the GCC Region with a rating of Grade 2 from the Adult Learning Inspectorate of the Ministry of Labor and the Quality Assurance Authority for Education and Training in the Kingdom of Bahrain. We recently partnered with IIHM, Dangayach Hotel School and Group of Hotels in Jaipur India, ICEP Hotel School in Bucharest Romania for student and faculty exchange programme, internship and employment opportunities and research. The exchange programme will broaden the academic and social experience of students and promote alliances between host and overseas institutions while, the presence on campus of both exchange students and faculty members from overseas partner diversifies the student population and encourages local students the benefits of an international educational experience. What is the brand differentiation of BIHR? How is it leading the way in developing hospitality talent in the region? BIHR is accredited by Swiss Hotel and Tourism Management Institute (HTMi, Switzerland), American Hotel and Lodging Education Institute (AHLEI, USA) and Australian Retailers Association (ARA, Australia). 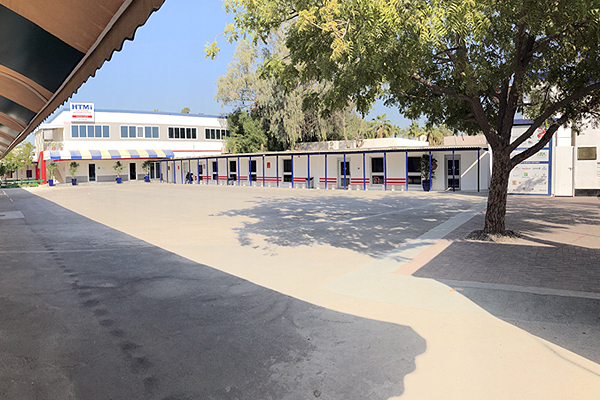 BIHR offers a caring and supportive learning environment with a specific number of students in each class to provide highly individual attention by experienced faculty and high quality internships. The campus is in a pleasant western suburb of the capital city, Manama, and has all the facilities one would expect of an international hotel school, including training kitchens and restaurants, a front office and housekeeping laboratory, a resource centre and state of the art information technology including campus-wide wireless facilities. We maintain long term relationships with industry partners who provide our students a rewarding career following their studies. 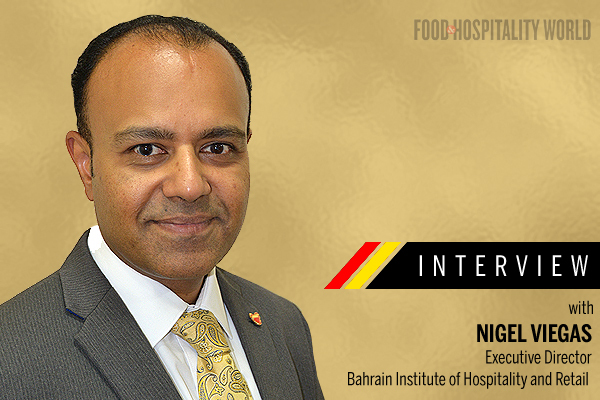 BIHR has extensive links with hospitality industry employers throughout Bahrain and in other parts of the world. 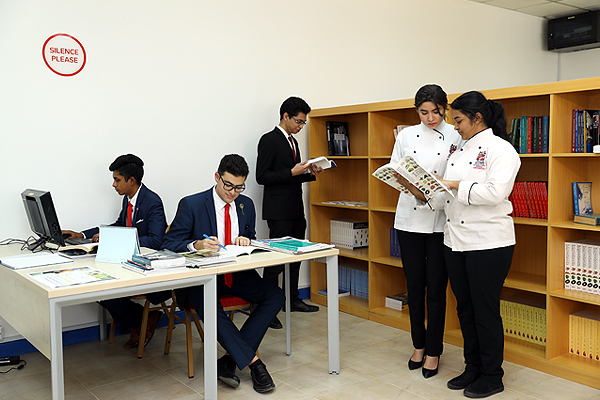 Hotels placing our students include The Ritz Carlton; Crowne Plaza; Gulf Hotel; Sheraton Hotel; The Diplomat Radisson; The Regency Inter-Continental IHG; Four Seasons, Art Rotana and Movenpick, Accor, Ramada Group, Marriott and Starwood Hotels. 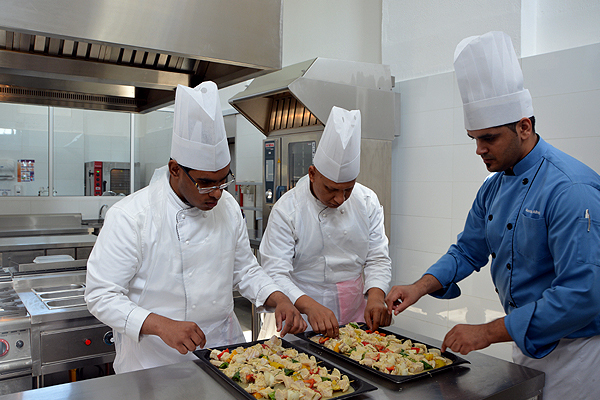 Which are the hospitality courses offered by BIHR ? 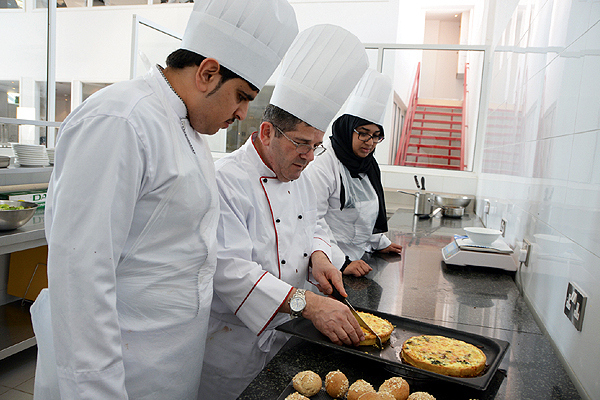 The HTMi two-tear Diploma in International Tourism and Management Programme offered at Bahrain campus has a wonderful blend of the prestigious Swiss certification as well as BIHR’s ethos in imparting skills and qualities essential to success in senior management positions in the international hospitality industry. The HTMi programme develops the students into innovative leaders ready to meet the standards of managerial competence in hospitality management. At our campus we prepare our students to undertake internships within the industry, where they work in both practical and supervisory environments. Studies are both academic and practical as students also work in kitchens, food service restaurants, and front office. Does your institution also attract international students ? From which countries ? Bahrain has been ranked amongst the world’s top 15 most economically free nations and number one for expats. We welcome international students from across the globe. We provide international students with Swiss International Hotel and Tourism Management course. We are the only institute in the kingdom to provide student visas. BIHR offers a caring and supportive learning environment with limited students in each class to provide highly individual attention by experienced faculty and high quality internships. 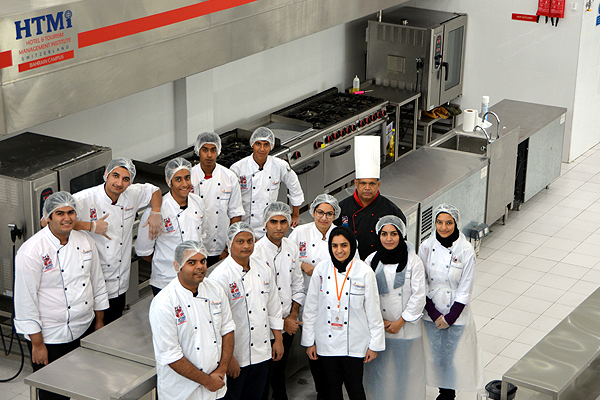 Currently, the institute has a population of 200 Bahrainis and international students, with 16 different nationalities from Nepal, India, Sri Lanka, Philippines, and Bangladesh and has placed over a thousand graduates in the tourism and retail industries across GCC countries – Kuwait, Bahrain and in East Asia – Singapore and Europe – Switzerland and to the United States of America. What is your focus on the India market? 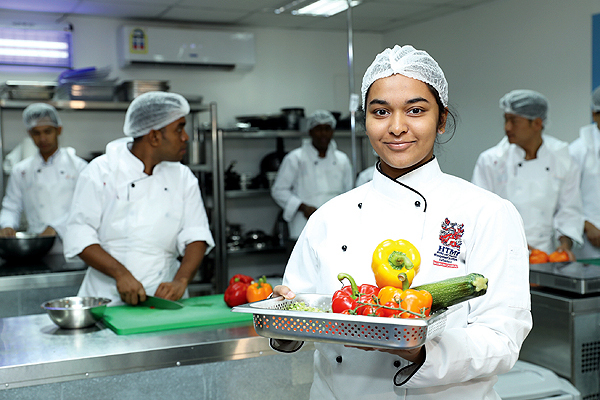 How would Indian students benefit by pursuing hospitality programmes at BIHR? The hospitality and tourism industry employs over 235 million people worldwide. According to the World Travel and Tourism Council and career prospects in the industry expand rapidly year on year. Expats who have international hotel certifications gain the right skills and expertise required for the highly demanding international hospitality market and thus command top positions globally. The international five-star hotels are looking to hire talented graduates, especially from Indian continent as they believe that these graduates have the passion, diligence and the potential in promoting the ‘right service’ in a professional and efficient manner. The people of India are known for their hospitality and dwell well in this field. The hospitality sector has a great career path for those who have the passion. Great career development: The jobs at the hotel industry have high salaries which can range from Rs. 35K to lakhs. Apart from that, the progress is quite fast, and your promotion depends entirely on your working style and skills. Vast opportunities: There are various kinds and types of hotels where you can start your career from. In recent years a lot of five-star hotels have been opened in India, this can be the best way to start your career. The hotel industry is spread worldwide, and there has to be a five-star hotel in the state of every country. Hence, many opportunities are waiting for you. Fastest growing industry: With big brands busy with their expansion, there lies a great chance for you to get yourself a job in one of them. There is an estimation of more than 5000+ jobs in the hospitality industry. Fun and exciting with different responsibilities: The roles in the hospitality industry are managed with proper hierarchy management, and there are more than 10 departments in a proper hotel. Promotions at a hotel can give you the experience of handling staff to managing an entire department. Innovation and opportunity to showcase creativity: A hotel can be a great place to showcase your creativity and skills. For cooks and chefs events, festivals and corporate meetings are the ideal time to show your culinary skills. Opportunity to meet people from around the world: People belonging to diverse cultures stay in the hotels when they travel for business or leisure. Working at a hotel helps you to experience the thrill of diversity. Great pay: When it comes to getting paid, the hotel industry is what people look up to if you have basic experience of a year or year and a half. You can easily get paid Rs. 25K to Rs. 30K in any five-star hotel. How effective is your placement cell? Our curriculum is based from the rich HTMi Swiss standard to meet the requirements of five-star hotel companies worldwide. It is our task to extensively examine and determine the qualifications of our candidates for registration. Is there any other important factor you would like to highlight ? A graduate with an international hotel certification can achieve managerial positions within two years and in some cases within the first year as compared to an entry level with no formal education. The demand for the hospitality industry is currently growing due to the boom in the tourism industry across the globe. Today, one can have positions in airlines, hotels, restaurants, cruise industry which is one of the fasting growing industry in the world and also other tourism sectors. A passionate individual can even put up his own business as an entrepreneur. The hospitality industry is one which will never fade off due to the growing demand for people to be served.